Growing up my dad used to live on the edge of Wyoming, right up against the Idaho border. I would go out and visit him several times a year. He lived in this gorgeous 3-story ranch house right next to a sheep farm. I always loved looking at the sheep. Especially in winter when those cute little white fluffy lambs were out in a snow-covered field. It wasn’t until I was a young teenager that I discovered that those cute little fluffy white sheep were raised to be someone’s dinner. I was appalled that anyone could eat such a cute little creature! That is, until I got my first taste of lamb. Yum-o! Sorry lamby, you taste too good not to eat. Lamb is absolutely delicious and, in my opinion, like no other meat. It has this absolutely delicious rich flavor that is unlike any other meat. 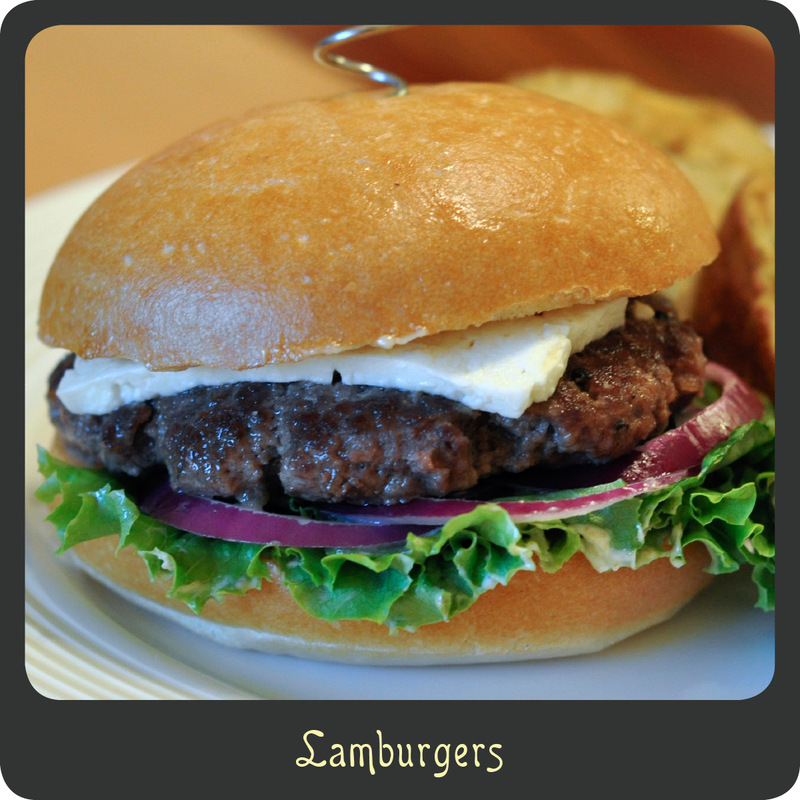 I have been wanting to try making lamburgers at home for sometime now but it can be difficult to find ground lamb. Just about every year my dad purchases and entire lamb from the sheep farm. When I saw him a couple of weeks ago he happened to still have some of the ground lamb leftover from his last purchase, so I bummed it off him just so that I could make these exotic burgers. These were mind blowing good. I felt so bad for my husband because he happened to have a cold when I made them and was unable to taste much of anything. Looks like I am going to have to make them again very soon. Aw shucks! In a small bowl combine the mayonnaise and cumin and set in the fridge until ready to use. Season the ground lamb with salt and pepper. Form the ground meat into 4 thin patties. Add the meat patties to the hot skillet and cook for 3–4 minutes. Flip the patties and add the slices of feta cheese to the patties. Continue cooking the lamburgers for another 4 minutes. While the meat is cooking, lightly toast the buns in the oven. Reduce the heat to low, and while the cheese finishes melting spread a good amount of the cumin mayonnaise onto the cut side of both the top and bottom buns. Arrange the lettuce and red onion on the bottom half of each bun. Top with the most delicious lamburger patty ever. Add the top of the bun to your masterpiece and enjoy!